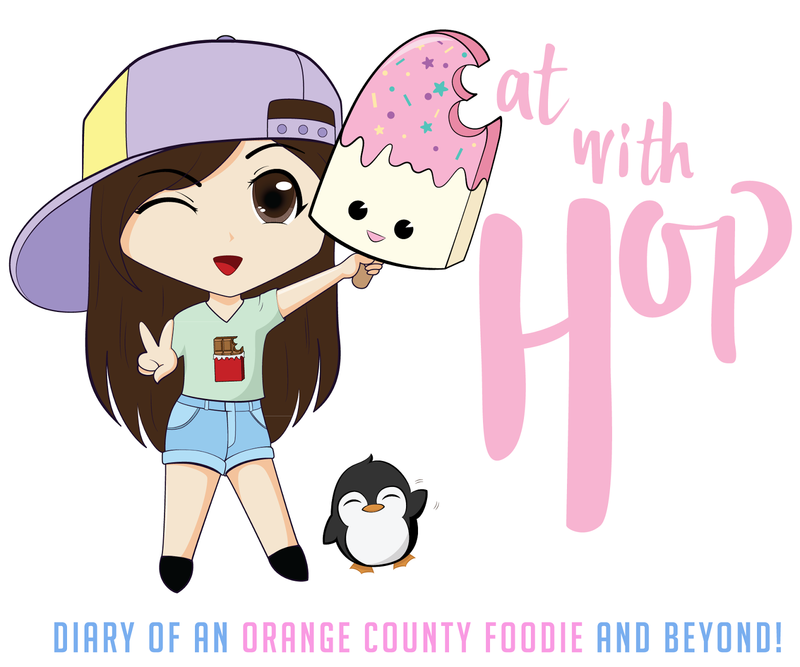 GIANT SHAVED SNOW & LATTE ART & FOOD @ IOTA BREW CAFE - KOREA TOWN (L.A.) - EAT WITH HOP! After an exciting 4D movie adventure from watching TMNT at the L.A. Live Regal Theater, Kev and I had dinner and dessert at the popular, hip and trendy Iota Brew Cafe in Korea Town. I've been wanting to try this place for the longest time because I kept seeing yummy photos on instagram of their delicious and pretty desserts! After looking meticulously through their menu, I still couldn't decide which dessert to order! It took awhile but I eventually decided on the Honeydew Shaved Snow which is honeydew shaved snow inside a honeydew! Honeydew-ception... ?! To my disappointment, the waiter informed us that it was sold out. However, he came back again to say that there was one last one so of course I ordered it! But, I specifically ordered it without red bean but it definitely had red bean in it so I was a bit angry inside... Maybe it was for someone else but it was a mistake and so I got it instead... Oh well, the red bean wasn't that big of a deal I guess. What was a big deal was that the shaved snow came first. Aside from the food, oh man, the atmosphere of this place is incredibly hip and trendy! It has huuuuuuuge windows at the entrance perfect for people-watching. The place itself is very high-rise. What I mean is, the ceiling is so high above! They also have nice and comfy chairs and a great collection of wine displayed on one of the sides of the store. They have pastries and cakes as well as state of the art Dutch Coffee making machines that loook like something appropriate in a science lab. The service is alright. I'm not that happy because they gave us dessert first which made us eat a cold entree. There are buttons to press for service. Three to be exact! A "call server", "ready to pay" and "cancel" button were on each table for convenience. prices are on the pricier side. More than $10 so be prepared! I recommend the waffles and shaved snow. They look delicious! they do have amazing latte art! yummmmmmmmy! very smoooooth and icy-cold. I liked it but it will taste like the taro powder so if you don't like that, I warned you. Cute latte h"art"! Tasted very green tea but honestly it wasn't the best. I prefer Coffee Code! I like it better than Cafe Hiro in Cypress! looooooove the mochi rice balls! It's so cool that it is inside the honeydew melon too!! the shaved snow itself is actually finely shaved snow with green tea flavor infused in it. You can also order it with Milk shaved snow too. HERE ARE THE MENU PAGES! WOW! The Honeydew Shaved Snow looks so unique. Take me here, Hop! I'd like to try Brunch here too.